NBA shooting guard known for his three-point shot who was drafted 3rd overall by the Washington Wizards in 2012. He was named to his first NBA All-Star Team in 2018. He was named the Gatorade National Basketball Player of the Year as a senior in high school. He spent one season playing college basketball at the University of Florida before declaring for the NBA Draft. He was named the MVP of the FIBA Under-17 World Championship in 2010. He came in second at the 2014 NBA Three-Point Contest. He was raised with four brothers: Brandon, Bruce, Byron, and Bryon. In 2015, he began dating Love & Hip Hop: Hollywood star Kamiah Adams. They had their first baby in 2018. 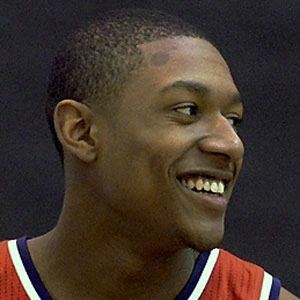 He became teammates with point guard John Wall after being drafted by the Washington Wizards in 2012.